If you are looking for a place where you can snorkel under crystal waters during your next vacation, head to Key West. 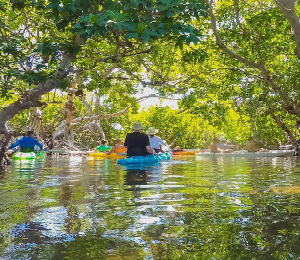 Here you can experience a first hand glance at the many species of flora and fauna found under the surface of Key West's finest waters. Key West is also home to the only living coral reef ecosystem in America, as well as the third largest coral reef in the world. 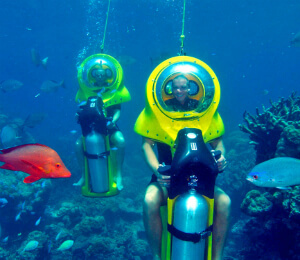 A Key West snorkeling vacation offers snorkelers many options to choose from. There are tours throughout the day and you may see different hings depending on the time you choose. If you go on a sunset snorkeling tour, you have the added bonus of seeing a beautiful Key West sunset. During your excursion into the water you may see dolphins, many species of fish, and coral formations. 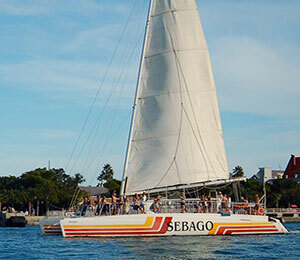 Because of Key West's island location, none of the Key West snorkeling tours are too far out. With a short trip to the snorkeling sight, you can spend more time in the water enjoying the plants and animals in their natural underwater habitat. The small tour groups make it easy to get the one on one instruction that you might need if this is your first snorkeling adventure.The Key West snorkeling trips include everything you will need for a day of fun under the water. All you need to bring is your desire for adventure and everything else is waiting for you in Key West. Explore beneath the sea on your own personal Underwater Mini Sub! This tour allows you to navigate around the Reefs of the Florida Barrier Reef without having to worry about a snorkel or mask. Simple to operate, even easier to enjoy the adventure! Snorkeling is one of the main attractions that draws thousands of visitors to the tiny southernmost island of Key West every year. Our spacious catamaran vessel provides our guests with a comfortable and easy ride through the clear-blue waters of the Gulf out to the coral reef areas for a one of a kind snorkeling experience. If you are an outdoors kind of person, the Island Ting tour is the tour for you. Combining sailing, snorkeling, and kayaking, the Island Ting takes you to the most beautiful natural areas surrounding Key West Florida. Our boat is a spacious and luxurious 41-foot sailing catamaran yacht that transports a maximum of 20 passengers through the calm blue waters of the Gulf of Mexico. 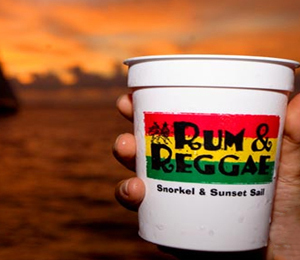 Join us on our unforgettable 3-hour journey out to the reef with our Rum and Reggae Sunset and Snorkel Cruise. This tour combines snorkeling on the reef with the dreamlike experience of watching the sun as it sets on the horizon of the Gulf of Mexico.Our Rum and Reggae Sunset and Snorkel Cruise sets out to sea every afternoon, offering plenty of snorkel time and relaxing time.